Ilam, a hilly district situated in the far eastern Nepal, is divided into 48 Village Development Committees (VDCs) and one municipality. This district is fully covered by hills except some parts of inner Terai. The district covered by pleasant natural geo-structure, temperate climate, low green hills and fertile lands, has been made prosperous by the hard work of the farmers. The district is famous for tea and six 'As' - aalu (potato), alaichi (cardamom), aduwaa (ginger), akabare khursani (red round chilly), olan (milk) and amliso (a grass from which brooms are made, Thysanalaena). 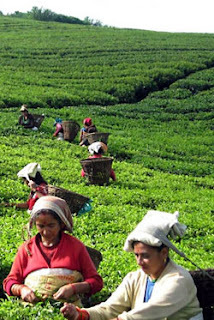 Among the six 'As', potato, ginger, cardamom, red round chilly and amliso are exported to Siliguri and Darjeeling in India and Tea is exported to foreign countries. Shriantu: Antu Hill situated in the far east of Ilam, famous for viewing sunrise. 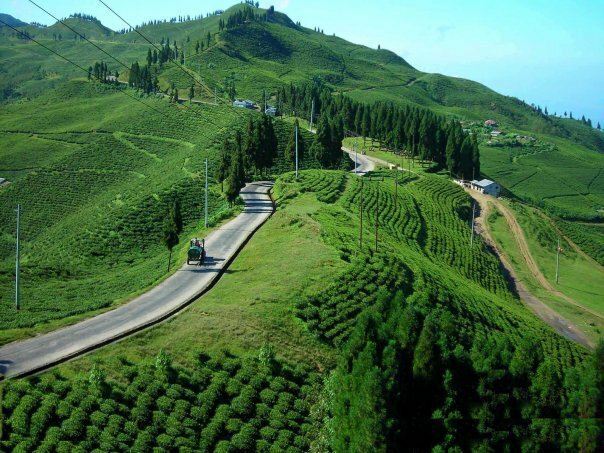 Most of the flat land of the Terai, Mirik, Kurseong, darjeeling along with beautiful tea gardens can be seen from this place. Sandakpur: Situated in the north of Ilam, Sandakpur is the main touristic place. Sunrise, sunset, Mount Kanchenjunga, Mount Everest, all parts of Ilam district and Darjeeling in India can be viewed from this place. various kinds of animals like musk deer and red panda and rare species of birds like pheasant can also be seen here. Siddhithumka: This place is also famous for panoramic views of sunrise and sunset and most of the flat land of the terai. Mangmalung: This is situated in the middle of the forest at the upper part of Ibhang and is the important religious place for the Kiratis. This place is regarded as the origin of the Kirat religion. There is also a cave of Matrika Kirateswar and a festival is observed every year with a great pomp and show. Mai Pokhari: is a pristine lake amid natural forest. The pond surrounded by the thick forest of fir, juniper, birch and pine is home to a variety of flora and fauna. Various species of orchids, rhododendron, herbs; rare animals like musk deer, leopard, porcupine, jackal; numerous migratory birds and rare insects, are found in the region. The lake is also considered holy as the abode of Goddess Bhagabati. An annual fair is held here every autumn around the month of October or November. 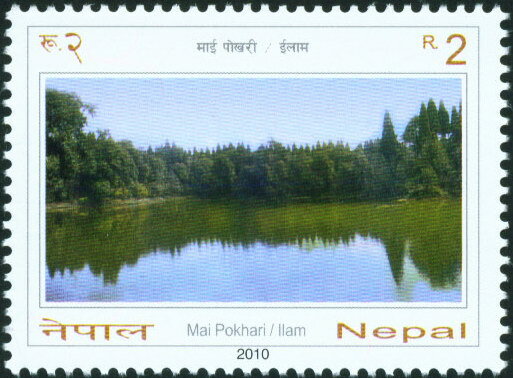 Mai Pokhari is about 18 kilometers from Ilam Bazaar which is about 30-minute drive. Kanyam and Fikkal: have large estates for which Ilam has been famous for the last 140 years. These tea plantation areas are popular among tourists for picnicking, sightseeing, and taking photographs. Fikkal is a business center in the area. It falls on the Mechi highway on the way to Ilam. Chhintapu: Mt. kanchenjunga along with most parts of Ilam can be viewed from here. 11 types of rhododendron, rare birds, butterflies important for research study, important herbs like yarshagumba (aphrodisiac) and Paanch Aaulay and rare animals like red panda and musk deer are found in here. Access: Ilam Bazaar is in Ilam district Mechi Zone. It is approximately 700 kilometers and 18 hour-drive to east of Kathmandu. Daily bus services ply for Ilam from central Bus Station, Gongabu, in Kathmandu. Buses are also available from the major cities. There are flights from Kathmandu to Biratnagar and Bhadrapur from where Ilam can be driven to via Birtamod. The famous Darjeeling city of India is just 2-hour’s drive from Pashupatinagar on the Nepal-India border of Ilam district. Nepali nationals and Indians can commute by the land to India from Pashupatinagar in Ilam. However, this entry/exit poin is for local use and Indian tourists only. Entry and exit from the eastern point for other travelers is allowed from Kakkarbhitta in Jhapa. Food and Accommodations: Good to moderate facilities are available for food and accommodation in Ilam Bazaar. Besides home-stay facilities are also available in selected areas; telephone, medical and other tourist facilities are also available in Ilam Bazaar. When to visit: The subtropical climate of Ilam ensures good weather throughout the year. The best time to visit Ilam is between October-December, or from April-February. People from different parts of Nepal visit Maipokhari in Ilam for an annual festival on Kartik Ekadasi which falls in October or November. Thousands visit Mai Beni during Maghe Sankranti which falls in January. Predominant Culture: The main groups residing in Ilam are Brahimins, Chhetris, and Lepchas. A Lepchas is at initial stage at Antu and is in the process of being extended. · Gajur Mukhi a stone tunnel with carved images of Hindu deities. It is on the bank of Deumai Khola, west of Ilam Bazaar. Gajur Mukhi is 4-hour drive from Ilam Bazzar. · Pathibhara is in Ilam is believed to be as the younger sister of Pathibhara Devi in Taplejung. The temple is in Hanspokhari, southeast of Kolbung VDC and is on the way to Ilam on Mechi Highway. · Mai Beni house the temple of Lord Shiva at the confluence of rives Mai Khola and Jogma Khola. It is located about 3 kilometers away from Ilam Bazaar. Thousands of devotees gather here on the day of Maghe Sankranti in January. Besides these there are: Narayansthan in Ilam Bazaar, where a special festival takes place on Krishna Asthami; Bhimsensthan near Ilam Chowk; Singha Bahini in South Ilam, with a beautiful garden in the temple complex; Sati Devi Temple, on Puwa Khola west of Ilam Bazaar, which is a cultural, religious and magnificent site for domestic as well as other tourists.